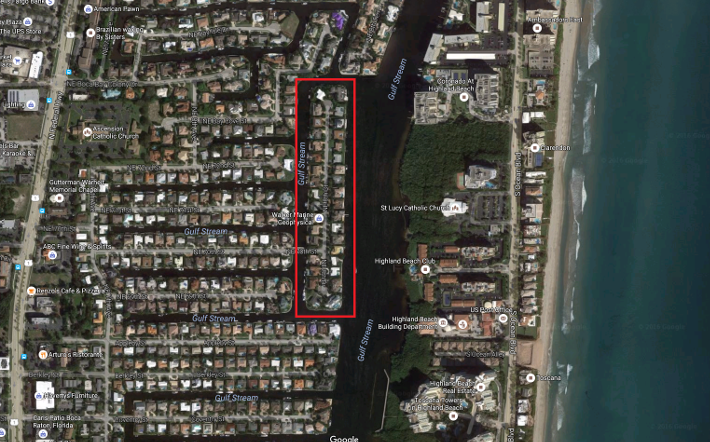 Boca Harbour Island homes for sale were first developed in the 1960’s and are located in North East Boca Raton just off of the US1/Federal Highway. This island joins through only one bridge. It has the feel of a private island ambiance. This community is comprised of about 35 single family homes which are often characterized as Mediterranean and ranch-style units. All lots are waterfront. Homes on the Intracoastal waterways are particularly in demand because of their sizes, their location and beautiful views. This is a multi million dollar luxury community that often attracts homebuyers with their high end amenities and finishes. This is a perfect area for boaters looking for a home where they can easily dock in front of their properties, additionally there are no fixed bridges in the area. Interested in learning more about Boca Harbour Island homes? Browse through our Boca Raton MLS listings or read more about community amenities. Boca Harbour Island real estate is considered a quiet community. The homes here have between three to six bedrooms with ample square footage. Lots are a combination of waterfront properties with Intracoastal access or dry lots. The interiors of these homes have been built with the very best materials. Marble floors, vaulted ceilings, private pools, covered patios and French doors are just some of the features that set these homes apart from other luxury properties. This community is located near schools, restaurants, shopping areas, golf courses and of course the beaches. Boca Harbour Island is considered to be one of the ultimate waterfront communities in the city of Boca Raton. This community is the elite of the elites. You’ll thoroughly enjoy living here and will be proud to call this your home. If you’re interested in learning more about homes for sale in Boca Harbour Island, please contact us or call 561-406-8880 today. We’d be happy to help answer questions, arrange viewing and help you get started to finding your new Boca Raton home.